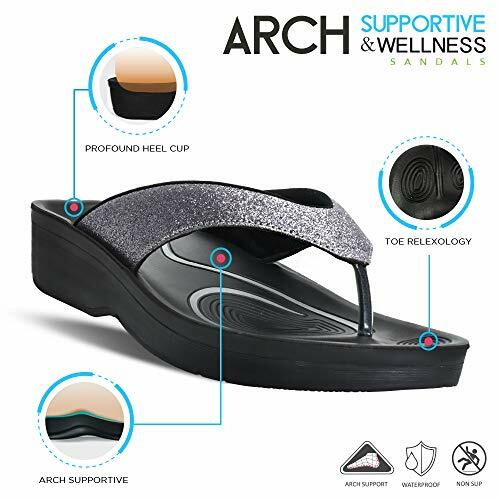 Arch Type: The arch of these thong sandals highly supports medium arches. 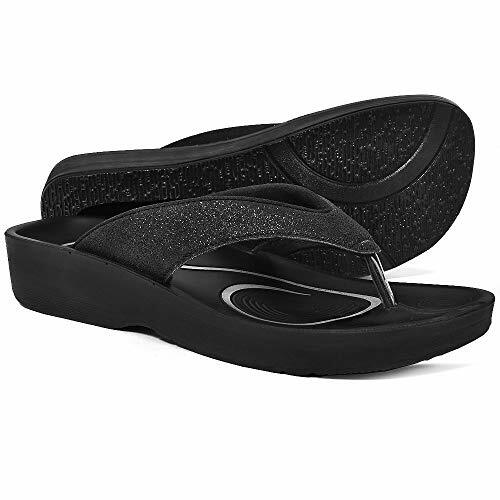 Synthetic leather platform with thick scraped outsole. 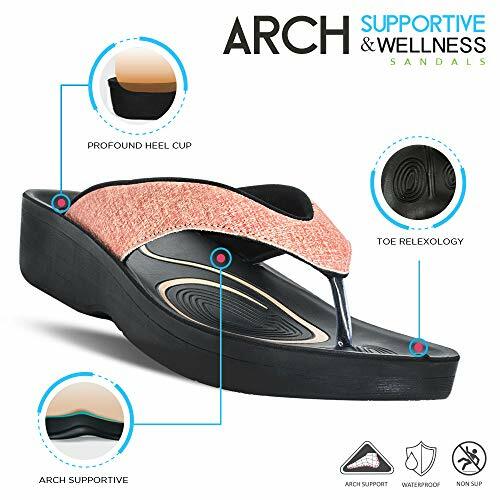 Tattered patches style bottom outsole, to provide strong grip and traction for any type of surface. 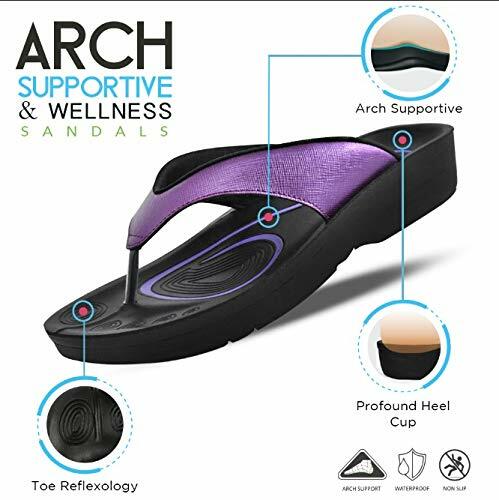 Hollow U - shaped opening on the lower outsole surface for the sandal to hug the surface with utter grip. 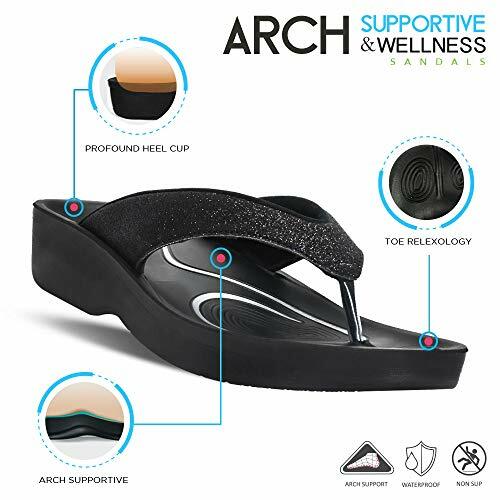 Heel Height (inches): The heel measures approximately from 0.6" - 1" Heel Cup: Deep heel - cup to support hindfoot, aiding in proper alignment of posture. The width of the platform from the midfoot is 3.75" (wide width) Weight (Pair): Weighs around 0.61 - 0.87 lbs. 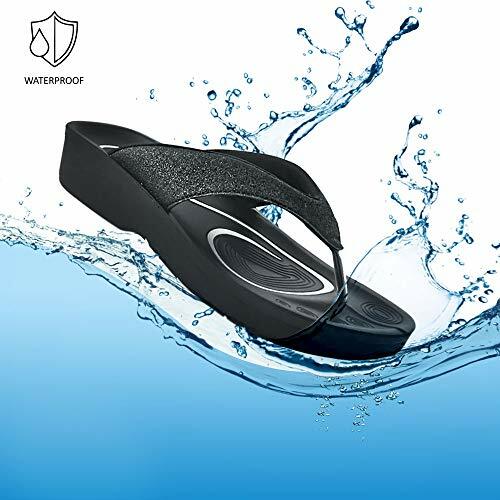 Season: Perfect partner for your feet in Summer, Spring and Fall.